The Chicago Marathon is on Sunday, and although I signed up with the caveat that I would not run if the temperature went above 80, it looks like there will be perfect weather at the start. Sunny. Temps in the 40s, maybe low 50s. Can’t get much better than that. So why am I freaking out? Maybe because I have no idea how I’m going to do and the uncertainty is messing with my mind. First of all, tapering always makes me a little crazy. For those who are smart enough not to run marathons, tapering is the period of time, usually about two weeks, before a big race where you cut back on your effort to let your muscles recover and get ready for the big day. For me, it means no more long runs and, alas, none of the stress release I get from those runs. So, instead of spending this week blogging about my summer races as planned – taking all my notes and pictures and turning them into nice little posts – I sit down in front of the computer and within a few minutes start to freak out. Who cares about a race I did back in July? All I can think about is Sunday, SUNDAY, SUNDAY! What am I going to wear? Should I check the weather forecast one more time? Will the course be really crowded? Will I crash into a runner who stops to walk right in front of me? Will I trip on a pothole? Will my toe, still not fully recovered from the nasty blisters I got at the Chicago Spring Half, actually shear right off my foot in the middle of the run? 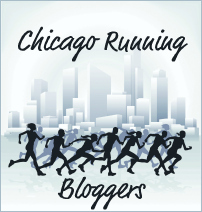 And if so, can I finish the race while trailing blood through the streets of Chicago? I’m more nervous about this race than any other race to date (ok, other than the Half Ironman, but that’s because I thought I might actually DIE doing that one). In theory, I should be confident. While the road to get to this week has been filled with ups and downs (and hopefully blog posts about them will magically write themselves soon), my training for the last 8 weeks has been right on target. And yet I have no idea what to expect. The pace calculator on my phone says that based on the Chicago Half that I ran a mere four weeks ago, I should be able to do 3:55, which also happens to be my BQ-time. The McMillan calculator, however, says 3:58. The Running Times pace calculator says 4:00 flat. I say they’re all nuts. The optimist in me thinks 4:08. The realist in me says 4:15. The negative whiner in my head says “Who are you kidding, you’ll be lucky to break 4:30.” Based on my 800-meter intervals, Bart Yasso would say I could do sub-4. Paul Ryan says I can do 2:50-something. Kip Litton says I’ll be the overall female winner. I have visions of being locked in an institution in a straight jacket, sitting the corner rocking back and forth, staring at the wall while mumbling splits and distances and paces and goal times. And all this anxiety for what? So that I can push myself in Chicago to get a qualifying time for California International Marathon, which I can then run to try to get a qualifying time for the Boston Marathon? A marathon to run a marathon so that I can run yet another marathon, even though I’m not sure I even like running marathons? When they certify me as insane, I think I’ll have to concede that they are right. Or that I’m just a runner. We’re all a little insane. Don’t let the pressure get to you. Go out easy, its a long and hard run but with the cooler weather you’ll gain some time there. And yes enjoy all the sights and sounds! What corral are you in?